Exceptional offer in an area with great potential. 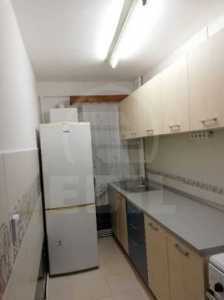 EDIL offer for an apartment in CLUJ-NAPOCA, MANASTUR area, near CASA PIRATILOR. The apartment for rent has 3 rooms, placed at ground floor from 4 and the surface of it is 48 Sq.M. The apartment is confort 2 semi-detached and it has 1 bathroom, modern tile, modern sandstone, laminate flooring. The apartment modern furnished and equipped has other facilities such as television, refrigerator, washing machine, stove, interphone. If you like this offer, or any other that we provide, do not hesitate to contact us by phone or directly at our headquarter EDIL, Str. Iuliu Maniu, Nr. 17, Cluj-Napoca. 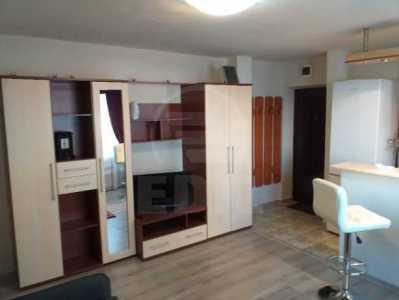 Edil Imobiliare va ofera spre inchiriere un apartament de 3 camere semidecomandat, etaj P din 4 intr-un imobil situat pe Alea Garbau, zona Casa Piratilor, cartier Manastur, aproape de magazine, la doar 5 minute de Piata Flora, 3 minute de Universitatea Bogdan Voda, 10 minute de mers pe jos pana la Parcul Babes, 10 minute de Cora si 15 minute de mers pe jos pana la Vivo, statia de autobuz fiind la 3 minute distanta . 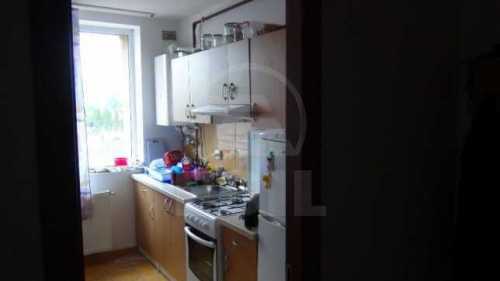 Apartamentul are o suprafata utila de 48 mp si e compus din 3 camere, 1 baie, hol si bucatarie. Dispune geamuri termopan, usi interioare din lemn, usa metalica la intrare, gresie, faianta si parchet din lemn masiv. Se inchiriaza complet mobilat si utilat! Pentru mai multe detalii, asteptam sa ne contactati!